My AT thru-hike attempt next year will be my first long distance hike. I’ve taken a few multi-day trips before but have never tackled any hike of this magnitude. 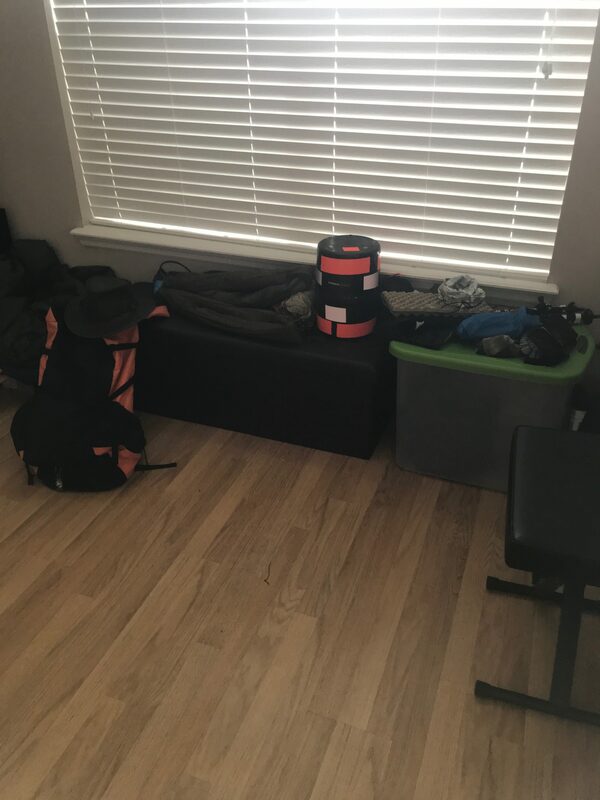 I have all my gear, tested most of it (still a couple shake down hikes left to do), watched hundreds of YouTube videos, read countless books on the AT, and now the only thing I can think of is how I’m going to pack my backpack. I can’t be the only one who constantly thinks about how I’m going to organize my pack, can I? I mean, it consumes my thoughts for most of my waking hours. When I’m at work, I’m taking care of customers, but in my mind, I’m wondering where I’m going to put my toilet paper and first aid kit. When I’m trying to go to sleep at night I’m thinking about layering gear in my dry bag (trash compactor bag). Maybe I should talk to a professional. This could be a serious problem, but I’m afraid a professional counselor might commit me, and I’ll miss my April 16th start date. OK, I have to take a break from writing for a minute, I have to go pack and un-pack my gear. Be right back! I think I can now continue since I’ve had some gear therapy, but I’m still thinking about packing my pack. Arrrrgh! One thing I’m thankful for is that my ULA Equipment Circuit Pack doesn’t have a ton of outside pockets for storage. It has two hip belt pouches, two side pouches, and the mesh compartment on the back of the pack. That’s it. I see some packs that have pockets everywhere. How do you people with those packs even function? I’d already be committed if I had all those choices, and I’d want to fill each and every one of them with something. My pack would probably weigh 60 lbs, and I’d be the laughing stock at Neel Gap when I asked them to do a shake down on my pack, if I even made it that far. Fear not. There’s hope. Keep reading for Grumpy’s Rx for packing anxiety. Take a deep breath, and let it out slowly. Packing your gear really breaks down to two things, keep things that need to stay dry…well, dry, and keep emergency gear and camera close at hand. That’s it. Let the trail decide where your gear winds up in your pack. Everything will find it’s place, trust me. You’ll be packing and unpacking your pack at least once a day, and you’ll learn as you do where you like to have certain things. As I said above, some things require easy access, like your camera, first aid kit, maps, toilet paper, snacks, and water. Please, please, please do not bury your TP deep in your pack because you never know when the urge to go will become an emergency. The last thing you want to do is litter the trail with your gear trying to find it. Everything else will find it’s place, and I bet it’ll happen within the first week on the trail (maybe even the first few days). Don’t let packing anxiety take away from the excitement of planning and getting ready for the most epic journey you’ll likely take in your lifetime. See you on the trail! (I’ll be the old fat guy with a panicked look on my face, throwing gear everywhere because I can’t find my TP).